Honour roll carved 1923, St Luke’s Church, Campbell Town . Who was Nellie Payne? 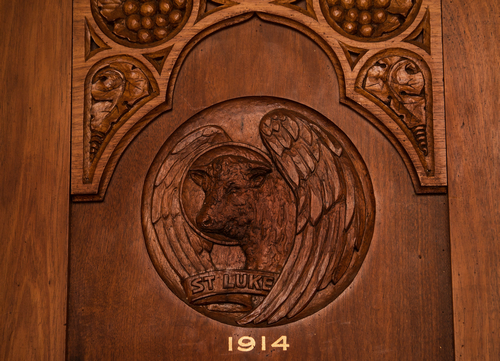 Campbell Town honour roll close up St Luke. Campbell Town honour roll close up date. 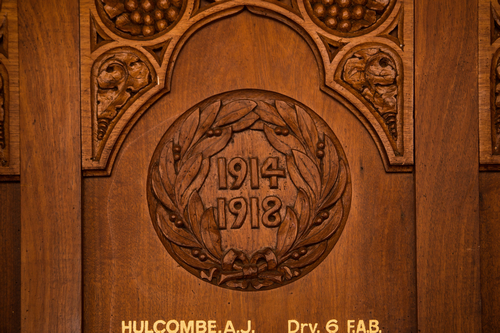 Close up army motif on Campbell Town honour roll. ROLL OF HONOR UNVEILED AT CAMPBELL TOWN. At St. Luke’s Church, Campbell Town, on Saturday morning last a handsome roll of honor was unveiled by Colonel H. Foster, in honor of the members of the church who obeyed their country’s call and safely returned to their homeland. The rector (the Rev. E. Gordon, M.A. ), conducted the service, and gave a suitable address on the occasion from the text: “The Lord be praised for the people willingly offered themselves” He stated that they had not met together to glorify war, which was a loathsome and repulsive thing, but to glorify and honor the men who, at a crisis in the world’s history went forth to fight for God, King, and their country, and they were proud of the men who had served in Australia’s wonderful and magnificent army. By the grace of God they had escaped the edge of the sword, waxed valiant in fight, put to flight the armies of the enemy and had returned safely to their native land. The preacher said they had travelled and seen much, endured much, and suffered much. 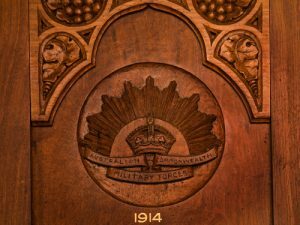 It was now their duty in time of peace to set the same high example of patriotism and loyalty as they showed in the great war. The roll of honor was unveiled by Colonel H. Foster, attended by a body of returned soldiers, the rector, and the Warden of Campbell Town. The congregation, led by the Campbell Town Brass Band, then sang the National Anthem. The Rev. 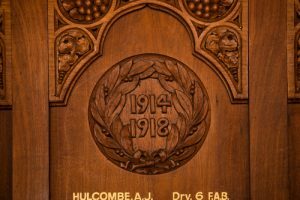 E. Gordon thanked the committee of the fund, Mrs R. Phillips, Mrs George Jones, and Colonel Foster for the work they had done, also those who had contributed to it. 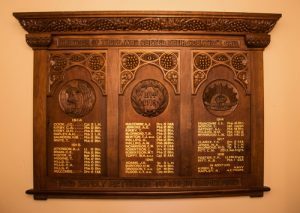 There are about 40 names on the roll of honor, indicating their rank and unit, and also the year they went overseas, and so will be an historical military record. The board, which is of Tasmanian Blackwood, in three panels, beautifully carved, with emblems St Luke, Victory, and the Australian Army is the work of Mrs Payne, of Hobart.